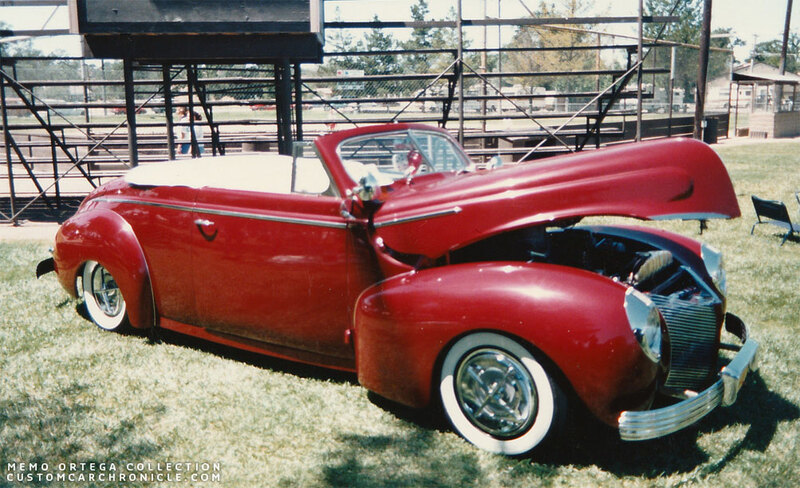 This 1940 Mercury chopped convertible was supposedly restyled by the Ayalas in the early 1950s. It was shown in the 80s, but what happened with it after that? 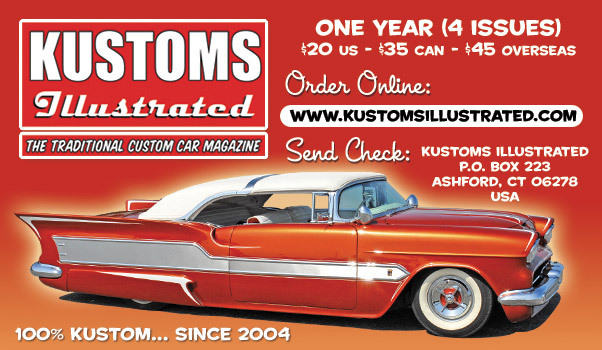 In January 2016 we did an article about Memo Ortega visiting a late 1980’s Paso Robles West Coast Kustoms meeting. 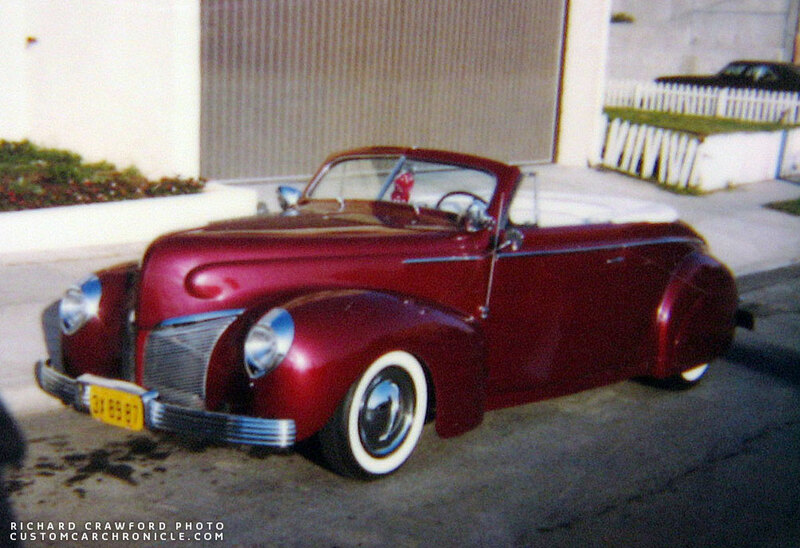 Among the photos Memo shared was this very nicely done 1940 Mercury convertible, and Memo remembered talking to the owner of the car. The owner, Manuel Lopez mentioned to Memo that the car was an early 1950’s custom created by the Ayala’s. 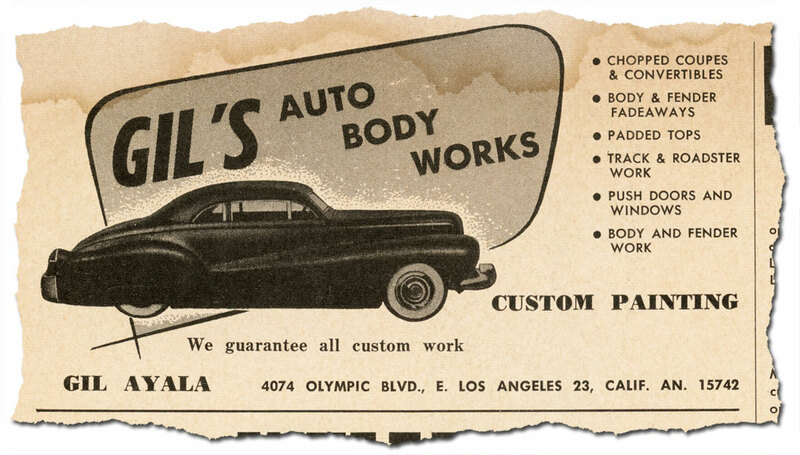 Gil Ayala opened his Gil’s Auto Body works at 4074 East Olympic Boulevard, East L.A. in 1945. Together with his brother Al Ayala they created Custom Cars during the golden years of Customizing and far beyond. In those decades they have created a pretty large number of cars. Some full Customs that made the magazines, several others that never did, and a lot of milder customs that never made it into the magazines, or local and not so local car shows. They were ordered by the car owners just to stand out from the crowd and be used for everyday use and weekend cruising. Gil and Al, nor any other employee of the Ayala shop ever took many photos of the cars they created. Unlike for instance George Barris who took photos of most every project that was ever produced at the Barris Kustom Shop. 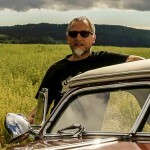 While we know about the history of a lot of the Barris Kustoms restyled cars, we only know about a relative small amount of the original Ayala restyled Custom Cars. There must have been a lot of “unknown” Ayala Customs out there in the 1940’s and 1950’s… and later. What happened with all these cars, where are they, and what happened to the owners. Most likely a lot of the cars are long gone, and perhaps others were further customized or hot rodded in later years. So when a possible unknown Ayala created Custom shows up, it is pretty exciting. When Memo Ortega talked to the original owner, Manuel Lopez of the car, and claimed it was build by the Ayala’s, Memo never doubted the owners words. Memo knew Gil Ayala very well from back in the 1950’s, and even ended up with Gil’s personal 1942 Ford coupe in the late 1950’s. Everything Manual Lopez told Memo about the Ayala shop seamed to be exactly as Memo remembered it from the 1950’s. When Memo showed me the photo of the car with four bar flipper hubcaps and the fender skirts removed I knew I had seen it somewhere before. But at the time I could not remember where. Recenly I was working on another article and came across the photo I remembered. Richard Crawford “Thinmann”, had taken a photo of the Mercury in the 1980’s as well. Back then the was still had single bar flipper hubcaps and fender skirts which gave the car a completely different look. The Mercury has the running boards removed, and a filler panel installed to hide the frame. The hood was nosed and the windshield mildly chopped. The side trim is shortened at the front, 1937 DeSoto bumpers installed and the fenders are not molded to the body. Memo could not remember if there was anything special done to the trunk, most likely shaved, but he was unsure about anything else. Memo took only one photo of the car back in the late 1980’s By then the owner had installed a set of four bar flipper hubcaps and removed the fender skirts which gave the car a completely different look. About this neat 1940 Mercury Convertible. I talked to the owner of the Merc, he told me this was the first time he had taken the car out in a long time. He was from East L.A. (that sure got my attention immediately) I think his name was Manuel Lopez, he told me he has had this car since back in the early 50’s. He asked me what town I came from, I told him I lived in Montclair on the other side of LA. He then asked me if I had ever heard of the Ayala’s, since they did the work on his Mercury back in the early 50’s. I think he mentioned it was still in the original paint from back then. I asked him how he kepth it looking so good all those years. He said he rarely takes it out, and its always coverd up. He does not let anyone touch it but himself. That car sure looked good after all the years he has had it. The man was older then me, how neat to hear that. Richard Crawford took this photo in the mid/late 1980’s. The car then had single bar flipper hubcaps and skirts installed, most likely more like how it was original restyled by the Ayala’s. As Memo mentioned, Manuel Lopez did not take the car out very often, and as far as I can remember I have never seen this Mercury apart from these two photos from the 1980’s. So what happened to it after these photos were taken? Where is it now? I hope somebody will recognize the car, or perhaps knows the then owner Manuel Lopez from East L.A., and knows more about the car, the story, or anything else. 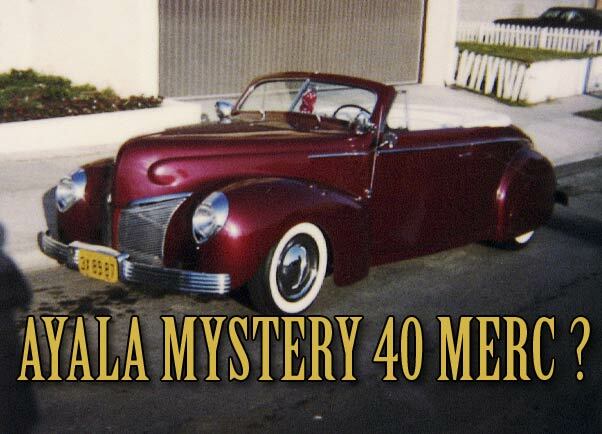 If you do know anything more about this possible Ayala Custom, please email Rik Hoving here at the CCC so that we can solve another Custom Car Mystery.